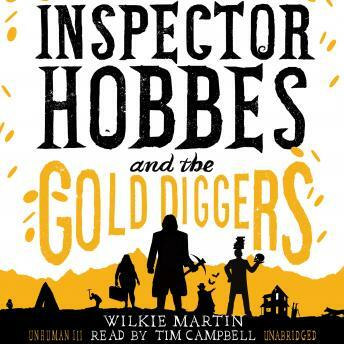 Receiving unwanted attention after foiling an armed robbery, the unhuman Inspector Hobbes takes a long-overdue camping holiday, with Andy, his accident-prone friend, and Dregs, the delinquent dog. In the bleak and dangerous Blacker Mountains, Andy stumbles across something shocking, before falling for an attractive widow, while Hobbes wonders why an old gold mine has reopened. On their return to the sleepy Cotswold town of Sorenchester, Hobbes is dumbfounded when Kathy, a reminder of his hippy days, turns up on the doorstep with her baggage. Since Hobbes has to solve a gold robbery and contemplate some perfectly ordinary rocks, Andy must entertain Kathy while trying to protect his new love from a monstrous opponent working for the sinister Sir Gerald Payne. Despite his usual blunderings and an inability to throw straight, Andy displays genuine courage. Can Andy survive dinner with a vampire? Can Hobbes recover the gold? And what is Kathy's relationship to Hobbes? This, the third in Wilkie Martin's unhuman series of fast-paced comedy crime fantasies will reveal all.